Too many small and mid-sized businesses offer gold-medal quality and service yet struggle to pay their bills and stay in business. What they need are guerrilla marketing weapons to put energy behind their dreams. This indispensable nuts-and-bolts guide outlines every weapon you need to make a significant bottom-line difference in your company. 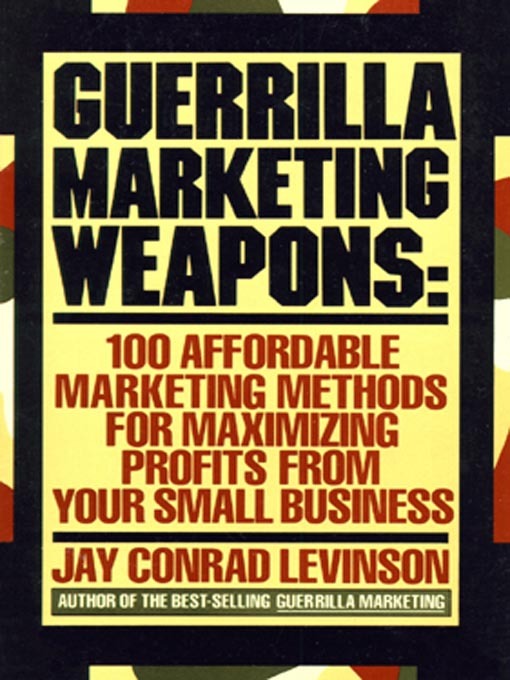 These weapons will add potency to your marketing attack and substantially increase profits. They work for all types of small and medium businesses, even nonprofit organizations. Among them are fourteen powerhouse weapons for start-up businesses and five substantial lifts to already running operations. All are inexpensive to implement and half of them are completely cost free.